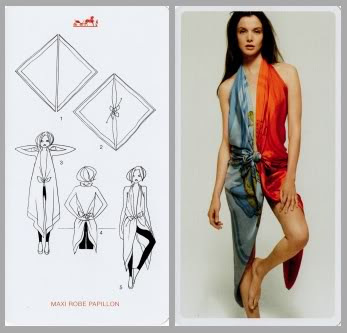 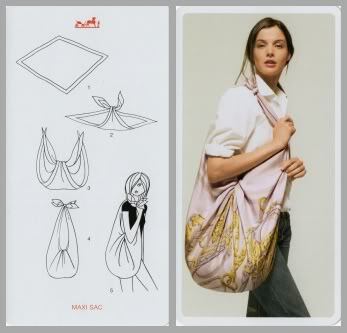 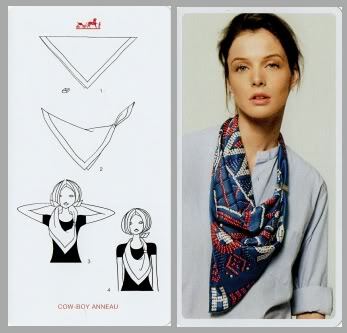 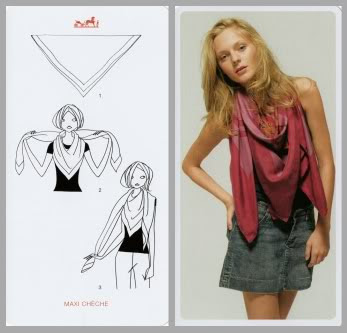 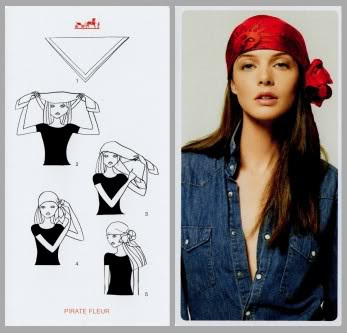 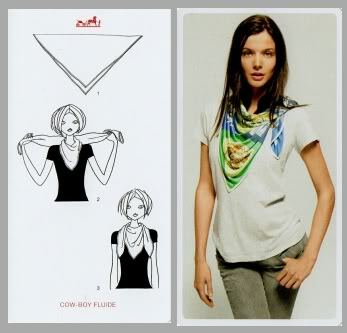 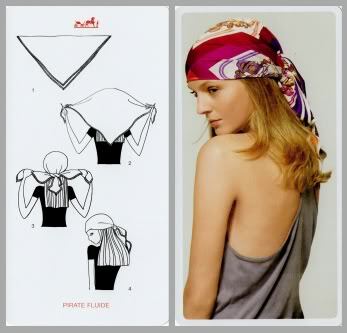 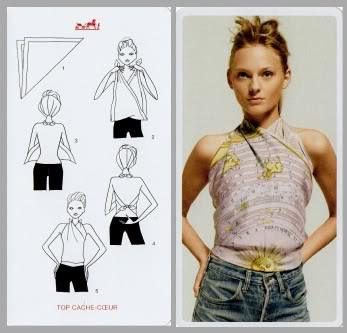 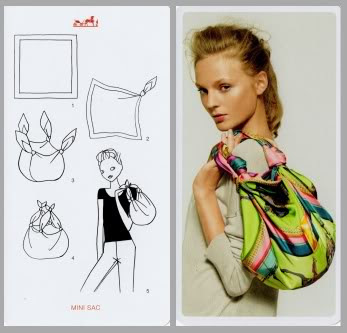 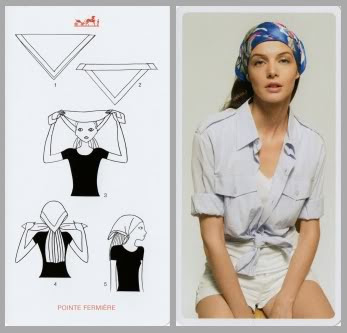 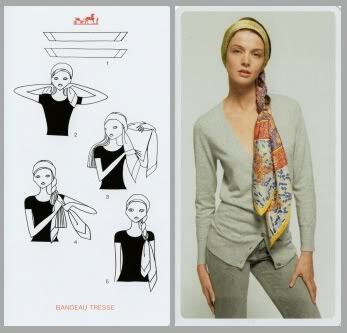 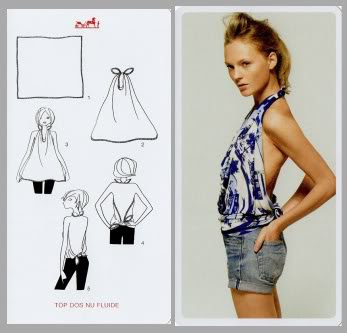 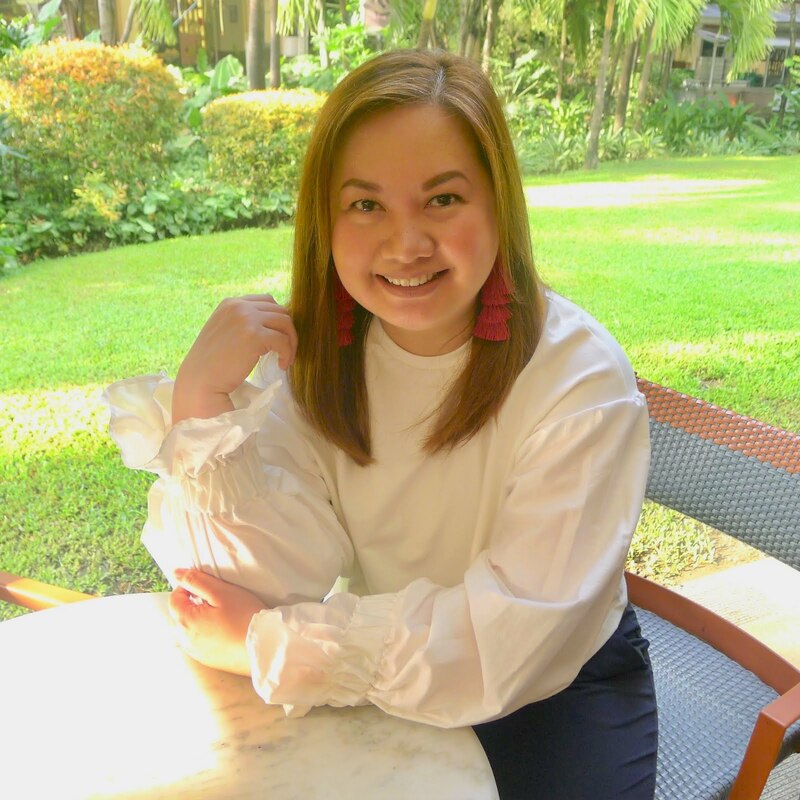 The classic silk square scarf with a bit of imagination and creativity can be worn in so many ways. 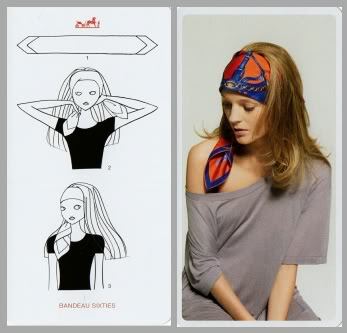 It can be a hairband, necklace, a top, cape, belt, dress or even a bag! 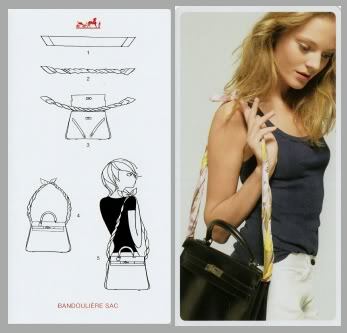 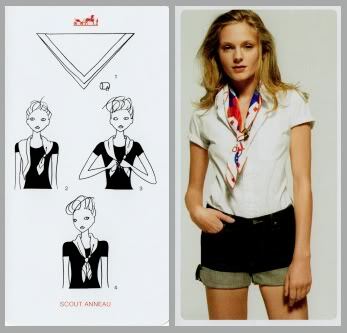 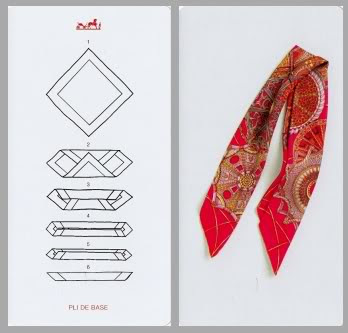 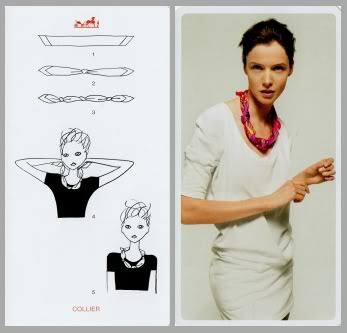 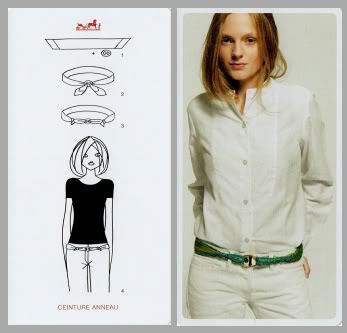 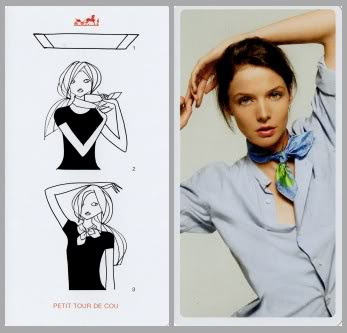 Hermes, has a set of lovely knotting cards that come with their scarves, a great source of inspiration. 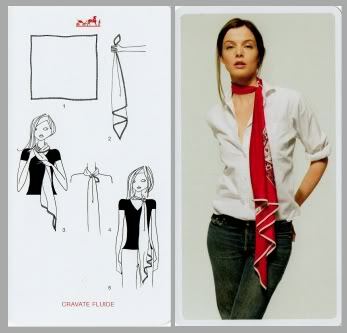 It's really easy, so grab a scarf and have fun!